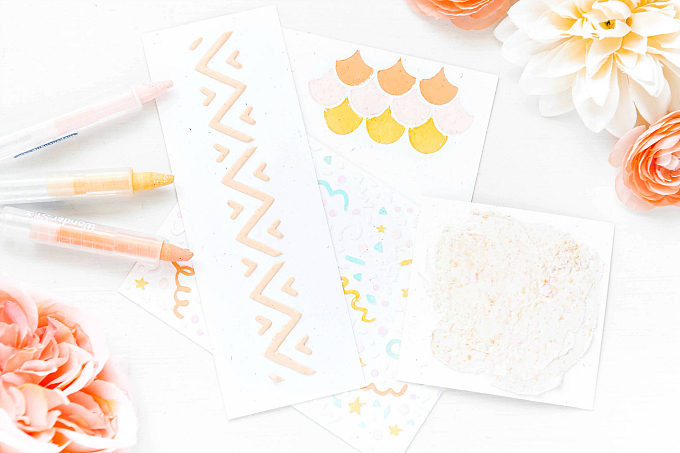 There's a fun little project I want to share with you today and it's perfect for all sorts of celebrations. 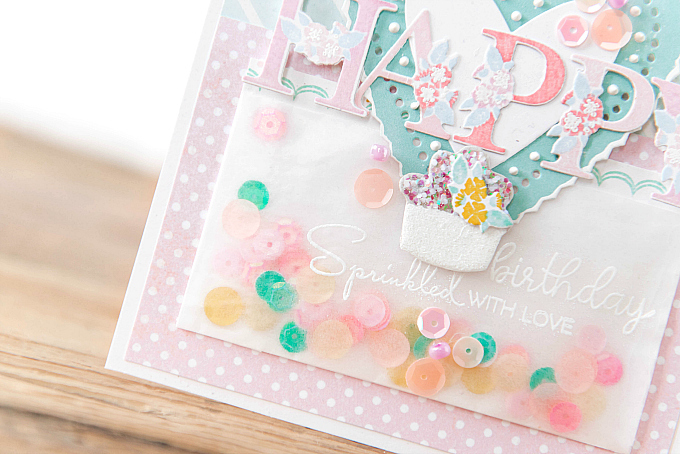 It's one that can be done with confetti, loose die-cut bits, sequins, or even tiny beads! Of course, I'm talking about a colorful shaker! It only requires a glassine bag, some colorful shaker "material" and glue. Just fill, seal and add to project. So easy! 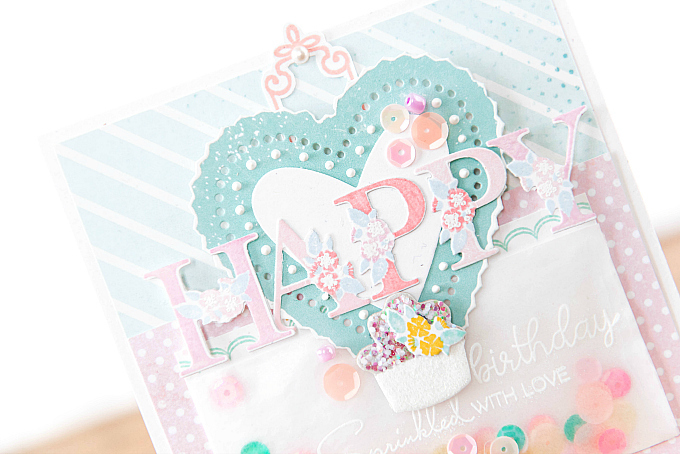 To start this card, I added two soft patterns, a pink polka dot and a blue stripe to the base. For the accents, I used a die-cut heart from Papertrey Ink cut with Limitless Layers: Hearts, and Limitless Layers: Heart Stitches dies. For the fancy letters, I used Botanical Letters stamps and dies, stamped in Melon Berry, Lavender Moon, Sweet Blush and Spring Rain. Just below the accent heart, I added a little sprinkled cupcake, and my simple shaker. To dress up the shaker a tad more, I stamped and embossed a sentiment before filling and sealing the baggie. I used PTI's Just Desserts stamp set. This little shaker is so simple to pull together, but the effect is definitely anything but. Thanks for visiting + enjoy your day! This is filled with so many lovely details! The heart and little cupcake, placed the way they are, remind me of a hot air balloon! I was just looking at this alphabet set today. It hasn't seen ink since I bought it and I do love it so. Another delightful card Ivana! So very pretty! Love the pastel color palette and the fun shaker full of goodies!